Is Grey Cloud Island Haunted? The name Grey Cloud island came from an Indian Chief who's remains were later brought here after she died. She was the owner of a fur trading post and had family ties to the small island, which is considered sacred ground by various Indian descendants. The island has been sparsely populated throughout its life, with no permanent Indian settlements here, and even today it only has a population of little over 300 people. The island also boasts the highest number of Indian burial mounds in the country, which is why there were no Indian settlements here. Today the island is open just as any other area of residential land, and many of the mounds and burial areas are marked. The whole island is thought to be very, very haunted. 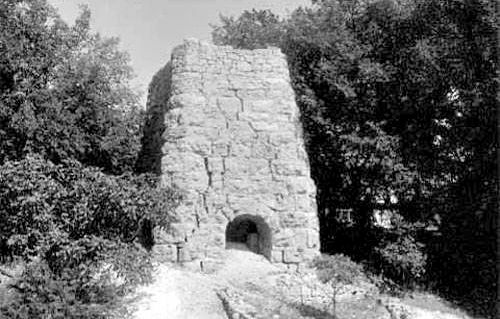 There are a lot of stories of this place that sounds very much like camp fire stories, but given the legends about Indian burial grounds its no surprise that some people would have created a few. Some of these tales include people who claimed to have been chased out of certain areas by a white pickup truck that seems to come out of nowhere and doesn't have a driver. Things like ghost machines to me seem completely made up, which is a shame because I could really use a ghost operated coffee machine in the mornings. But there are a few stories which come up again and again which sound a little more possible. The most well known of which would be the spirit of Grey Cloud herself, who people have claimed to have witnessed her apparition walking around the burial areas holding a lantern with a faint green glow. Orbs and strange mists are also frequently captured on film here, often forming spiraling columns seemingly coming out of the ground and forming up around people, though they can never be seen with the naked eye. Other stories of this place include things such as apparitions of Indians and people feeling as if they are being watched and followed, but with this many burial mounds and the legends people know of them, there's a good chance a lot of this could be true.